Simeon and I haven't been down at the horses for two days. But it really seemed like a week or more. Mrs. Fenwick had her dog, Sophie with her too. We scooped the poop and then we talked about the horses. Mr. Fenwick was talking with some other guy. Simeon asked things like how they caught wild horses. Mrs. Fenwick also told us that you can't ride a horse it's at least two years old. I knew all the questions Simeon asked, because I read them in a book I used to read. When we were done, Simeon and I were going to leave but I still wanted to see one more horse. Mrs. Fenwick went to talk to some other people who had horses there too. 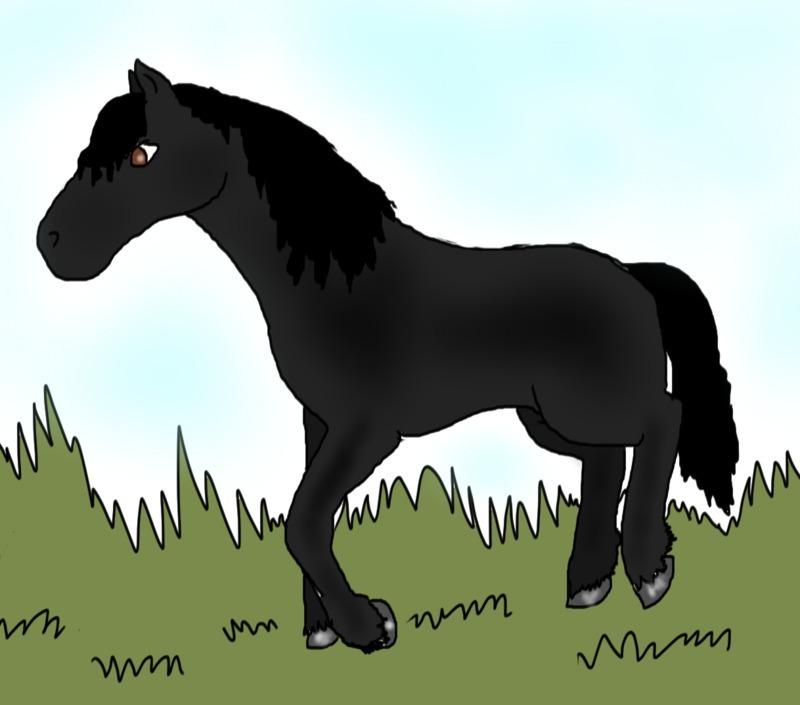 The horse I wanted to see was a black mustang that I have been watching for along time. Today I finally went over to him. His owner was there too and she was feeding him. I asked what his name was and she said it was Cole. Then she told us about four or five other horses around her, including their names. She also had a small jar with a gold fish in it. 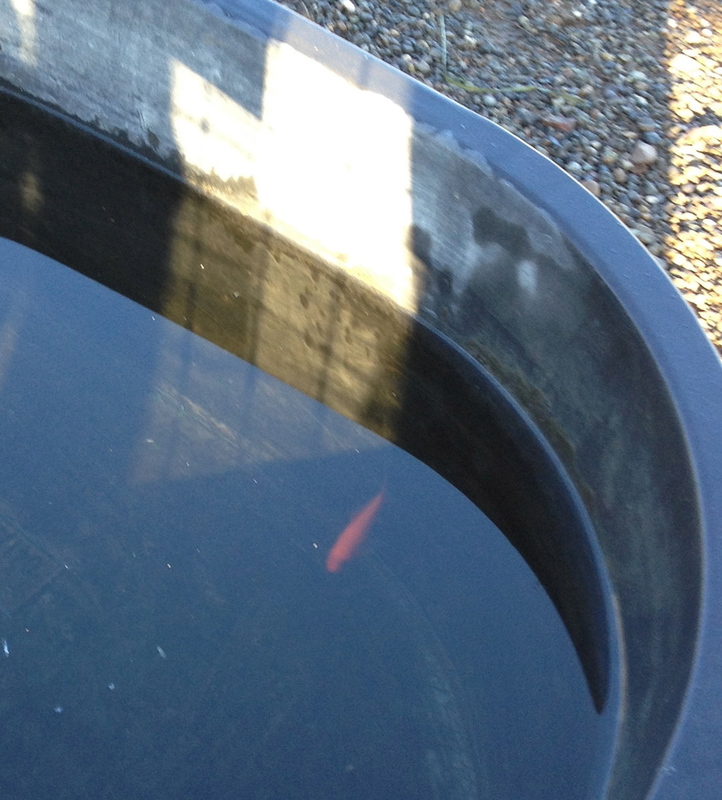 I asked her what that was for and she said it was to clean bacteria out of the water troughs. Now that, I have never heard of before! I must say that was smart. So hopefully when I go down again, I would love to ask more about that. She seems very nice too. So then we walked back home. It was exciting to see and finally know what that mustang's name was.